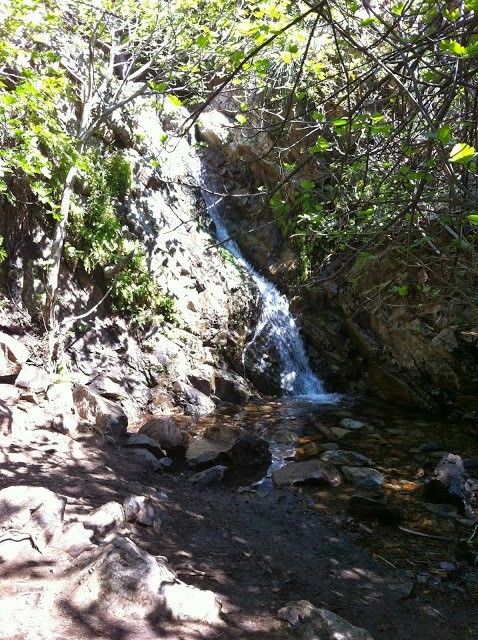 If you are looking to dust off your four wheel drive and enjoy a short hike, then the Holy Jim Falls Trail is your next adventure! 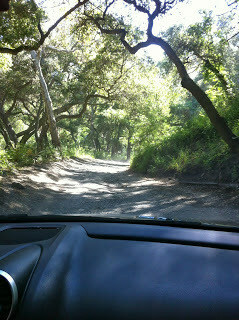 It’s an off-roading experience to drive to the trail head, as you need to drive 4 miles down a bumpy dirt road. Make sure you bring a car with high clearance, such as a SUV or a Truck. Four wheel drive is not necessary, but it’s recommended. We actually saw 2 low clearance cars that were stuck in the dirt on our drive out. And, you don’t don’t want get towed as the expense can be doubled in dirt road conditions.It’s a short 3-mile round trip hike to Holy Jims Falls and back to the trail head. This trail is frequently used as the first section to hike Saddleback Mountain. The trail switches back and forth across a creek bank. Use caution when crossing back and forth on the creek. We recommend experiencing this hike after a recent rain or in the early Spring to help increase your chance of seeing water coming down the falls. However, we recommend waiting a few days after a major rainfall as water levels can get high in the creek. If you are feeling brave, you can try and wade in the water at the base of the fall. Although it’s very shallow! 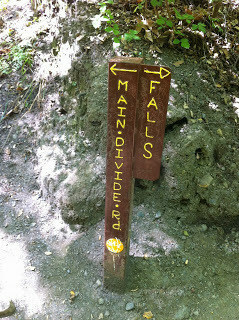 Holy Jims Fall is a fun weekend adventure and that can be enjoyed by hikers of all ages. From driving on a bumpy road to crossing back and forth on the trail’s creek, the experience offers an environment that is constantly changing. We enjoyed the sites and sounds of the fall and found it a relaxing environment to enjoy a snack. If you’re looking for a scenic and easier hike, this is it! A Forest Adventure Pass is required for parking, because the parking area is located in the Cleveland National Forest. Early Spring: We recommend going in the early spring or a few days after a rainfall to help increase your chances of seeing water flow down the river. If you are going on the weekend, we recommend leaving before 11:00 AM as the trail is a popular destination for Orange County residents. 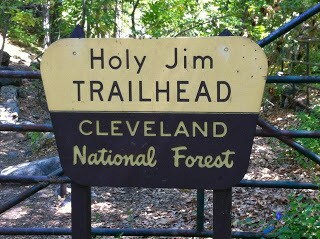 Drive out to Holy Jim Trailhead. The trailhead is located shortly after the volunteer fire station. 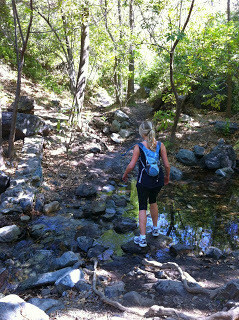 Hiker crossing the trail’s creek. If you continue left onto the Main Divide Road, you can hike to Saddleback Mountain. 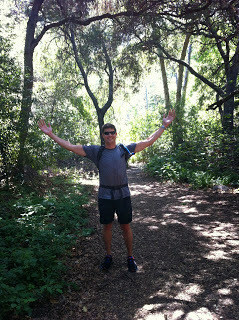 Hiker celebrating a successful hike. 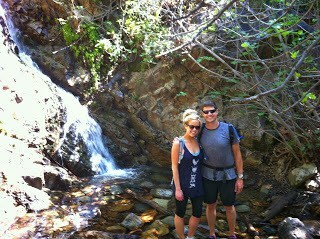 Hikers enjoying Holy Jim Falls. 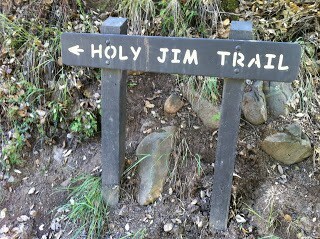 Have you enjoyed the Holy Jims Falls Hike? Share your experience with a comment below!